Founded in Delhi in 2011 on the belief that better business can create a better world, we aim to drive a new generation of conscious business in India and create positive social impact in the process. Part management consultancy, social think tank and creative agency, Do One Thing enables great companies to put social responsibility at the heart of corporate strategy and create future-facing solutions that deliver measurable value and inspire action – for business, for society, for good. Since our inception we’ve delivered wide-ranging projects that have enabled our clients and partners to be smarter, more engaging and more impactful in how they approach responsibility. Do One Thing is currently on hiatus from active projects while our team takes time out to work on international opportunities. Our team in Delhi, comes from a broad range of backgrounds in the private sector, social sector and government with experience across research, strategy, enterprise, CSR, NGO management, cultural management, brand strategy, technology, and communications. We assign dedicated teams to each project, led by DOT's management and expert advisors. Laura is responsible for overall leadership at Do One Thing with experience spanning brand strategy, corporate responsibility, entrepreneurship and client management. Resident in India since 2009, she founded Do One Thing in 2011 and has since led CSR communications for Punj Lloyd, CSR strategy for Shahi Exports, corporate partnerships for the British Council, programme development for DHFL, and strategic planning for both the Girl Power project (Graphic India) and The Coalition. She has also led capacity-building workshops in CSR, , communications, and partnerships for Standard Chartered’s Goal programme, the British Council and Art Think South Asia. Prior to founding Do One Thing, Laura spent eight years managing client business at some of the world’s top advertising agencies, most recently at Wieden + Kennedy in both London and Delhi. In that capacity she directed initiatives for both private and government organisations including Nike, Nokia, Nestle, Unilever, UK Home Office, the NHS and the Fair Trade Foundation. Laura holds a BA (Hons) is Linguistics and Social Anthropology from the University of Cambridge and is currently undertaking a PG Cert in Sustainable Value Chains at the University of Cambridge. Payal directs social investment at Do One Thing taking a leadership role on our CSR and social impact projects, NGO partnerships, and monitoring & evaluation systems. She is a development professional with ten years of experience in programme management, strategic communications, corporate partnerships, research and advocacy. She has worked with various international organizations in the United States, Cambodia, Hong Kong and India including Nasscom Foundation, Oxfam America, the American India Foundation and the Asian Human Rights Commission. She holds a BA in Economics from Reed College and an MA in Sustainable International Development from the Heller School of Social Policy and Management, Brandeis University. Geoff’s background in HR, marketing, communications and sustainability is considerable - including 25 years with Unilever working across Africa, Middle-East and Turkey; Australasia and Asia; Europe and the Americas - making him a invaluable advisor to Do One Thing. He led the development of Unilever’s global talent and leadership centre of expertise and more recently led ground-breaking work in which the HR function played a central role in transforming Unilever’s business model with purpose at its core. Today Geoff inspires and provokes organisations to put purpose and wellbeing at the centre of everything they do. He recently joined Bridge Partnership as a Director of Bridge, in which capacity he helps organisations to embed purpose as a driver of growth and profitability. He also sits on a number of Advisory Boards linked to Sustainability and the development/employment of young people from disadvantaged communities. Geoff is actively attempting to establish a consortium of Companies who are serious about living their purpose. His vision is to see purposeful companies with purposeful individuals commonplace one day. Sophie is a long-time advisor to DOT, specialising in strategy, communication and behaviour change within international development. Currently a freelance advisor to a number of international, social innovation initiatives, she recently spent 3 years at the Nike Foundation as Director of Market-Led Innovation. In this capacity she led development of a branded magazine, radio show and mobile platform, designed to give Rwandan girls access to positive role models, as well as heading the strategic design and development of SPRING, a $29m business accelerator in partnership with DFID and USAID. Prior to her time at Nike Foundation, Sophie spent 8 years in some of the UK's top advertising agencies, working as a strategic planner on clients such as Nike, Nestle, Coca Cola, Marks & Spencer, Fairtrade Foundation and The Guardian. Sophie is also founder of OFF-ON, an enterprise that motivates UK workplaces to reduce energy waste, by investing the savings in solar power units for schools in Africa. Sheetal has extensive experience spanning management consulting, finance, and investment in early stage startups. A long-time friend of Do One Thing he brings intelligent and candid insight to both our projects and our own business. Currently MD and CEO of growx ventures, an early stage investment firm, Sheetal has led over a dozen investments in a wide range of sectors ranging from agriculture to artificial intelligence through ubiquitous technology, and sits on the Board of multiple firms. Prior to growx, Sheetal helped set up the Everest Research Institute in India, and was an analyst on the outsourcing industry. Before Everest, Sheetal spent many years in management consulting with Andersen Consulting/ Accenture. 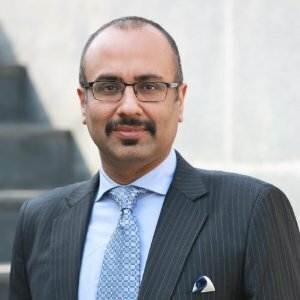 Sheetal started his career with ICICI, where he was part of the founding team of the credit cards business and managed the entire technology front.